Now's the time to make the most of the space you have in your existing home - and converting the attic space or basement into living area is the best way to do it. At its most basic, a attic conversion can be a quiet place to set up your hobby model railway, with a flip-down ladder for access. But a temporary staircase means it won't count as extra living space when you come to sell, so generally it's a mistake to do it on the cheap. Whether you want the space to flow seamlessly on from the rest of the house or you just want to make a statement with a light-filled studio Whalin Construction can deliver a complete solution from start to finish for the remodeling project. If the last time you looked in your attic was to bung in a few surplus boxes when you first moved in, it's time to grab a light and find out what you've got. You must be realistic about the possibilities. Take a tape measure and note the ceiling height - it needs to be no less than 6 ft. 2 in. to give enough headroom. The steeper the slope (or pitch) of the roof, the more suitable it will be for conversion. If your roof has a very steep pitch you may be able to squeeze in a mezzanine level. Dormer windows extend out of the original roof and are a way of adding headroom. 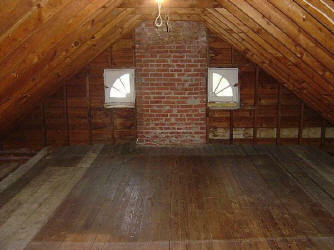 They can be the size of a single window or they can span a sizeable chunk of the roof and contain two or more windows. It's also possible to extend to the side from a hipped roof - in other words build out from the sloped side of the roof to make the edge flush with the exterior wall. Pay attention to the exterior of the dormer - make sure it won't stand out like a sore thumb in your street, either because it's too big, out of place..
A dormer is a window that is set vertically on a sloping roof. The dormer, in turn, has its own roof, which may be flat, arched, or pointed. Dormers are used, either in original construction or as later additions, to create usable space just under the roof of a building by adding headroom and usually also by enabling addition of windows. Often conflated with the term 'dormer', a dormer window is a window set into the dormer. Like skylights, dormers provide a dark space with light and, if they open, also ventilation. Unlike skylights, which are flush with the roof surface, dormers increase the amount of headroom in the room and allow for more usable space. Dormers make it possible to create a romantic and cozy feel for the top floor of a home because the roof slopes down in a way that it seems to embrace the inhabitants of the structure while in addition to light and air, the dormers provide a lofty view of the home’s surroundings. Dormers are very common in the United Kingdom, where requirements for supplementary space cannot be met by a typical addition in such structures as connected row houses. This has created a boom in the business of extending dormers, a tricky way to add floor space because the dormer cannot be extended beyond the main roof line. How much extra will it cost to add an extra bathroom in your attic, and how will it compromise the bedroom's proportions? How do the proportions of the new room work? Will a double bed fit in - and if so, where? Is there enough head height on both sides of the bed to make getting in and out comfortable? Have you considered where electrical points will go? If you plan this before building work starts (ie, sockets either side of where a bed would sit), you will save time and money in the long run. Have you got built-in storage in the new room? Where will you put what's in there now? How sound-proofed is the new room? Will you be able to hear noise from the room below - and will the room below suffer from noise above? Is there enough light? Perhaps skylights will be needed for natural light. How will you heat the room? 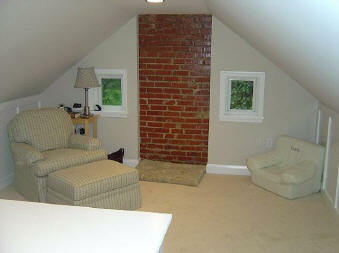 Is your current furnace sufficient or big enough to cope with extra square footage? Will it be well enough insulated and ventilated?